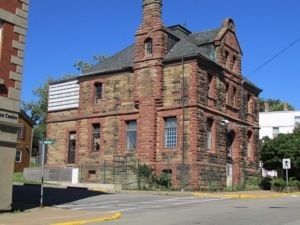 So, here we are in Pictou – a very pretty town with lots to do. We did some shopping this morning and moved the boat around so that we could reach the power and water. Our cord and hose is really far away from the utility box, but it is very nice to have amenities such as lots of running water and electricity. 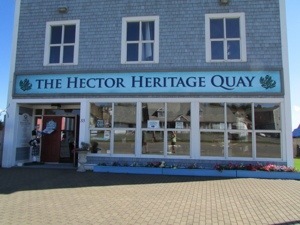 I don’t think I’d have lasted on the Hector! 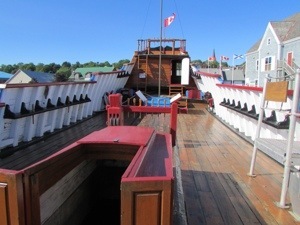 The Hector is a ship that brought the first Scottish settlers to Pictou and the passengers endured many hardships while crossing. 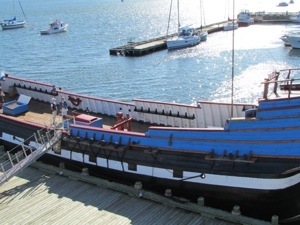 Pictou has a museum and a replica ship of the Hector and we explored that this afternoon. 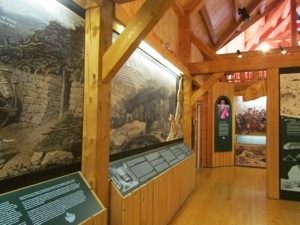 It was very worthwhile and the displays were excellent. 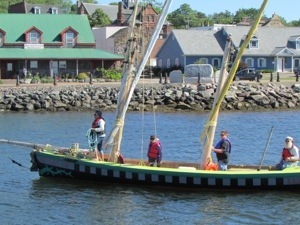 The crossing over from Scotland to Nova Scotia on the Hector must have been terrible. First of all, the ship left bout a month late. 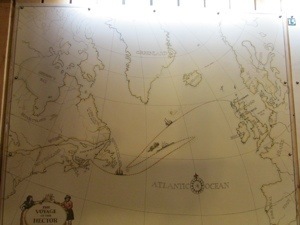 The first part of the journey went well but at about three quarters of the way across the Atlantic, the ship met a heavy gale and pushed them back about two weeks sailing so the whole voyage took 12 weeks. So, it was a very good museum to go to and I would highly recommend it. 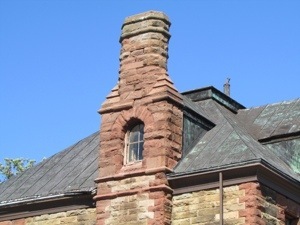 Here are a couple of pictures of one the original Pictou buildings – apparently it is the only building in Canada that has a window in the chimney. And, the final picture today, is of course, yours truly – he was in his glory! 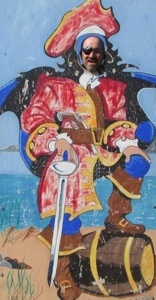 He sure looks to be a scalltwag to me.